Getting into God’s Word as a couple is critical to building a strong marriage. 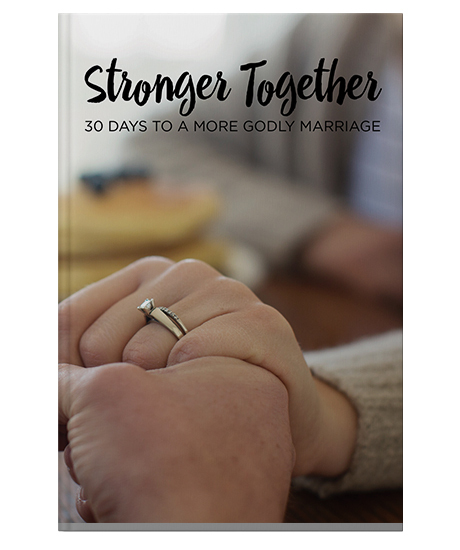 Time of Grace’s 30-day Stronger Together workbook and study guide shows you specific prayers you can pray together, as well as Scriptures and discussion questions that can enhance your devotion time. This resource shows you why fulfilling marriages involve two people who . . . Successfully added Stronger Together to your cart.